This Man Went Missing in Nicaragua. Have You Seen Him? Every Friday, Outpost’s online editor rounds up the week’s biggest travel news. On the morning of September 10, 2017, on a solo trip to Nicaragua, Adeolu Ogunniyi rented a kayak and headed out into Laguna De Apoyo in Granada. He never returned. A fisherman saw him at 2:30 p.m. on the opposite side of the lake, and at 4:30 p.m., another fisherman found the kayak pulled ashore. Since then, the American’s family has visited Nicaragua, worked with local police, the American embassy and the hostel where Adeolu was staying. 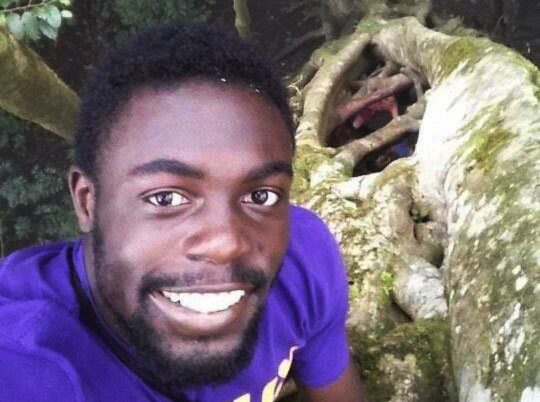 His family has his passport, laptop and valuables—he left it all at the hostel. But where did he go? Now, a month after his disappearance, his sister is splashing his face across social media—particularly reddit, where posts on groups for solo travellers and backpackers went quickly viral, where tens of thousands of people have gotten involved in the search. Nicaraguan police have already searched hospitals, jails and the bottom of the lake, and come up empty each time. The most prevalent theories: that Ogunniyi went for a swim, but the notoriously dangerous waters swept him away (but “the currents were flowing in a way to push him towards the shore if he did go under,” his sister wrote. “Part of the mystery for the poor divers and police”); that he was kidnapped and is being held for ransom (but why has no ransom been demanded? ); and that he was rounded up by local police, because he is black, and Central American countries are currently cracking down on African migrants illegally entering their countries to make it to the United States. If anyone has any information, his sister has requested you contact her at naijabot [at] gmail [dot] com. And speaking of kidnapping, a cautionary travel tale ended after five years this week, when Joshua Boyle, Caitlin Coleman and their three children were freed from captivity in Pakistan after five years. The pregnant married couple were hiking in Afghanistan in October 2012 when a Taliban-related group abducted them. Boyle, a Canadian, has long been interested in terrorism and the Islamic world; Coleman, an American, gave birth to three children in captivity. After the terrorists moved the family into Pakistan, they were transferring the family somewhere else in the trunk of a car when Pakistani forces allegedly descended on them, killing the kidnappers and rescuing the family. Moral of the story: Don’t go hiking in the mountains of Afghanistan with your pregnant wife. ear Michael, according to the study “Genomic Components in America’s demography”, published in 2017 in Japan, an average Nicaraguan presents a composition between 58% and 62% of European genes, almost exclusively Spanish; 28% of indigenous heritage of diverse Mesoamerican ethnicities and 14% from Africa. Another study published in the journal Genetics and Molecular Biology, conducted in different countries of Latin America, also showed a triple composition, in which Nicaraguans in general have a 69% European heritage, followed in second place by Africa in a 20 % and lastly the Amerindian by 11%. Finally, taking into account the Y chromosome together with diverse Y-SNPs, they allow to classify the Nicaraguan population within the Eurasian gene pool, in particular, the group contributed mainly by Spanish emigrants turned out to be the majority (43.63%) while the groups Native American and African were also observed both with a frequency of 15.33%. What current? I’ve swum in Laguna Apoyo many times. It is a volcanic crater with no outlets or major water sources other than rain and a few small springs. It is certainly possible to drown in any body of water and Laguna Apoyo is very, very deep at places, so it could be difficult to find a body. But if he was a good swimmer and his kayak was found nearby that seems less likely than some kind of foul play – though Nicaraguans I’ve met in that area are very decent and kind. Yes, I would keep pressing the local police. Heartbreaking. Good luck!